Immigration, studying or working abroad – these are the major purposes of taking IELTS exam. It is accepted by both educational institutions and professional associations in Great Britain, Ireland, Switzerland, New Zealand, Canada, Australia, the USA, and many other countries. There are several institutions in where IELTS certificate is accepted as the equivalent of entrance examination in English. IELTS comes in two modules – Academic and General Training. The Academic module is for candidates wishing to study, take an internship, or work as qualified specialists abroad. The General module is usually taken for immigration purposes. The exam consists of four tests: Listening – 30 min, Reading – 60 min, Writing – 60 min, Speaking – 11-14 min. 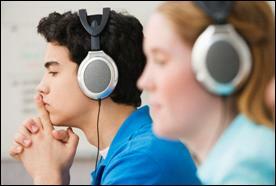 The Listening and Speaking tests are the same for both modules, whereas the and Writing components differ. The Academic Reading test includes three long texts (650-1000 words), taken from journals, magazines and newspapers. The General Reading test contains one long narrative or descriptive text and several shorter texts, taken from advertisements, brochures, leaflets, etc. In the Academic Writing candidates are asked to describe and explain some information presented as a graph, chart, diagram, or table (150 words), and to write an essay (250 words). The General Training Writing includes writing a letter (150 words) and an essay (250 words). The first three parts (Listening, Reading, and Writing) must be completed in one day. The Speaking test may be taken in the period of seven days before or after the other tests. 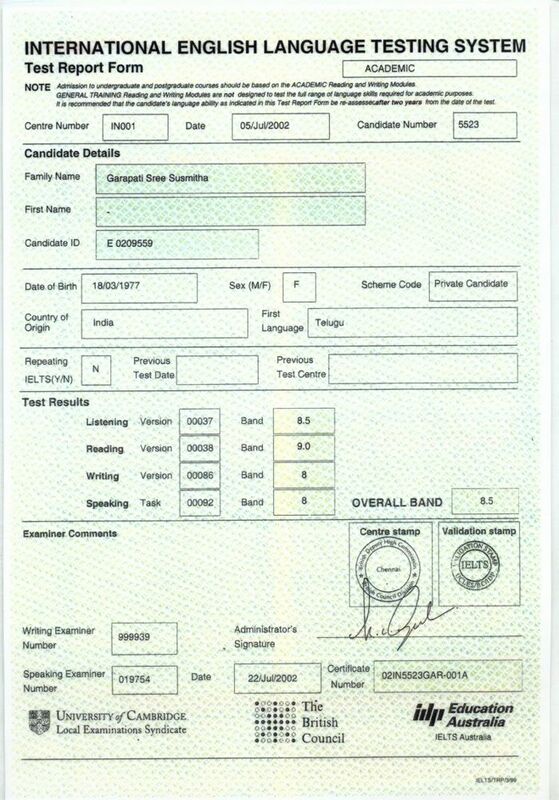 IELTS has a high level of difficulty, but candidates cannot fail it unless they don’t attempt the test (in this case their Band Score is 0). After taking the test, all candidates receive certificates with scores on a Band Scale from 1 to 9. Both overall band scores and scores for each test component are reported. This indicates candidates’ strengths and weaknesses. As a rule, foreign universities require not less than 5.0 for bachelor's degree courses, and 6.0-7.0 for post-graduate studies and professional internships. Some institutions may consider both the overall band score and the individual scores for each component. For instance, many universities accept overall band 6.0 only if the score for writing tasks is not less than 6.0 as well. IELTS is not recommended for candidates under the age of 16, because it requires not only a high level of language proficiency but also some experiences. The cost is set by the test centre. The cost of off-site sessions is influenced, among other things, by the distance between the exam location and the test centre. IELTS is the most frequent exam. Up to 25 examination sessions are held all over the world annually. Information on the availability of test sessions can be found on the IELTS official websites, or at the local exam centre. The deadline for applications is 5 weeks before the examination date. 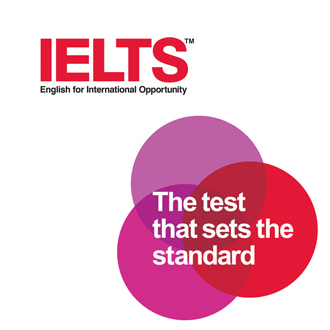 The IELTS certificate is valid for two years, after this period it is recommended to take the test again. Some universities require a certificate not older that one year.